At Abilene Family Dentistry, we think smiles speak volumes. As experienced dental professionals, there are times we’re able to read between the lines or hear what isn’t being said; we notice if you hesitate to smile or cover your mouth with your hand when you can’t hold it back. Feeling confident in your smile is powerful, and sharing it can spread happiness. In fact, there’s science to back this up! The act of smiling releases happiness transmitters in your brain. We think you deserve to feel proud of your smile, and we offer a range of cosmetic dentistry services to give you a boost that’s available when you need it. Veneers have been around for decades, but the first wearers were celebrities, and their longevity didn’t stretch far past filming and red-carpet events… for a while, anyway. Because they provided such a dramatic change without the implementation of orthodontics, restorative work, and several whitening treatments, the concept kept being improved upon. Today, veneers are available to nearly everyone, can provide a smile makeover in just one treatment, and are a permanent cosmetic procedure. After some preparation of your natural teeth, thin shells of tooth-colored porcelain will be bonded to the front surfaces of the teeth you’d like to have enhanced. You probably already know that whiter teeth are one of the most desired smile traits people seek. It’s hard not to figure that out based on every whitening product on the market, right? Between toothpastes, mouthwashes, strips, and trending at-home methods like oil pulling, you’d think it was an easy to obtain fix. Alas, only professional whitening treatments can really lift deep stains without making your mouth sensitive. Not to fret! We offer take-home whitening kits you can use from the comfort of your couch while you binge-watch the latest Netflix series. As a bonus, our professional whitening treatments have long-lasting results. Make sure to maintain them with a diligent oral hygiene routine and healthy food and beverage choices, though! If you’re looking for a quick, simple, and economical solution to brighten the appearance of your smile, cosmetic bonding checks each of those boxes. 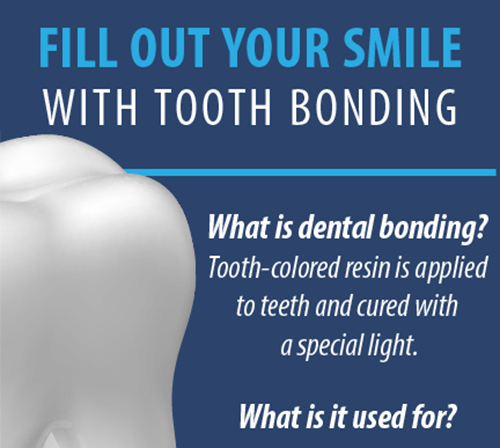 We can paint a tooth-colored resin to the surface of your teeth to smooth chips and correct crowding, gapping, and staining. While the composite material used won’t last forever, it can last up to 10 years, and the procedure requires very minimal—if any—preparation of your teeth. If you have any questions about cosmetic dentistry or you’re ready to schedule a consultation with your Abilene cosmetic dentists, Dr. Webb and Dr. Awtrey at Abilene Family Dentistry, give us a call today or request an appointment online.